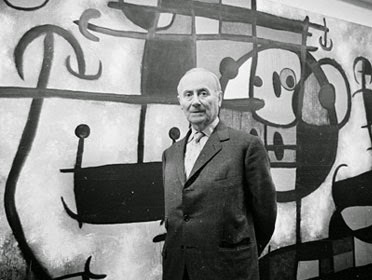 Joan Miró b. 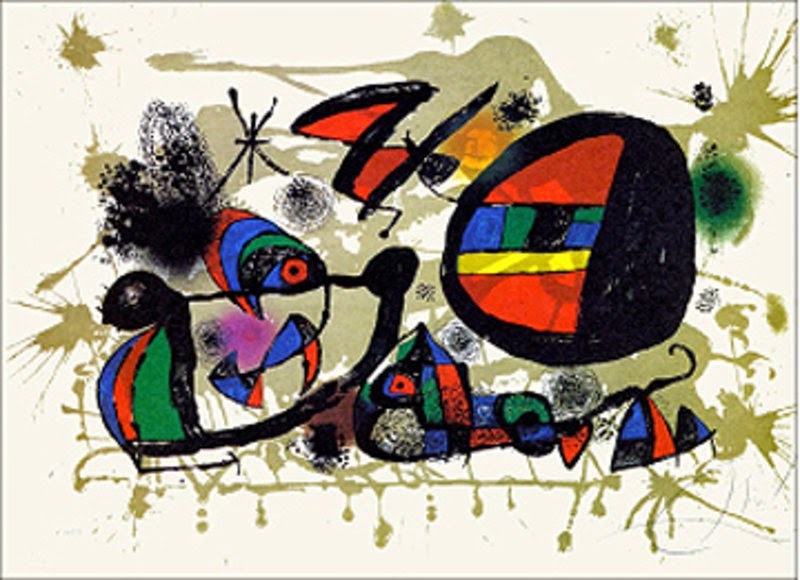 1893, Barcelona; d. 1983, Palma de Mallorca Joan Miró Ferra was born April 20, 1893, in Barcelona. 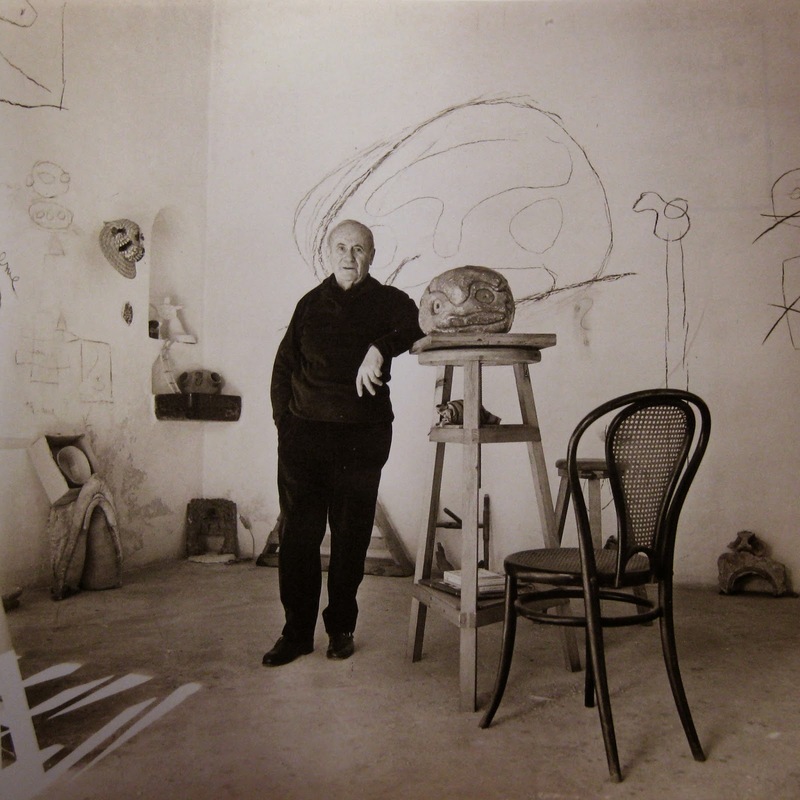 At the age of 14, he went to business school in Barcelona and also attended La Lonja’s Escuela Superior de Artes Industriales y Bellas Artes in the same city. 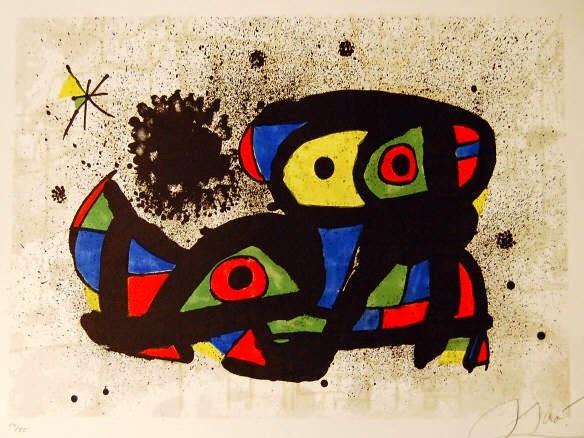 Upon completing three years of art studies, he took a position as a clerk. 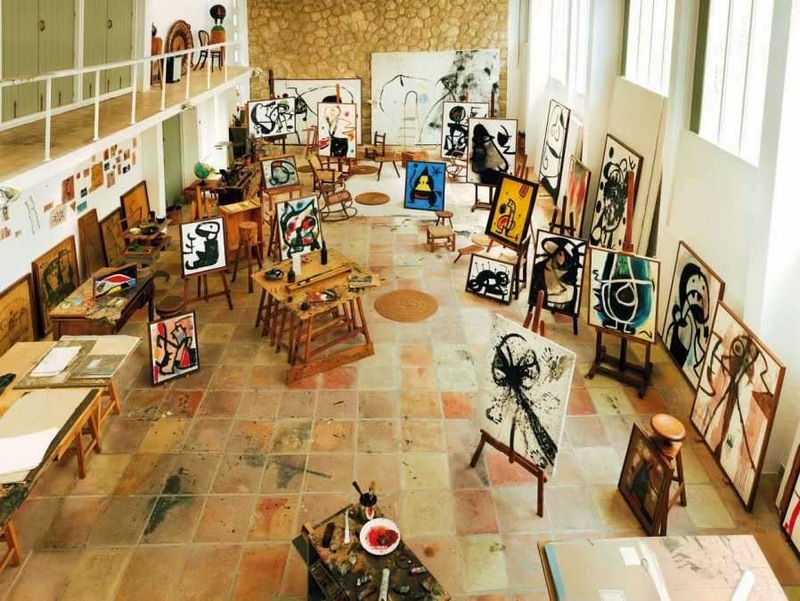 After suffering a nervous breakdown, he abandoned business and resumed his art studies, attending Francesc Galí’s Escola d’Art in Barcelona from 1912 to 1915. 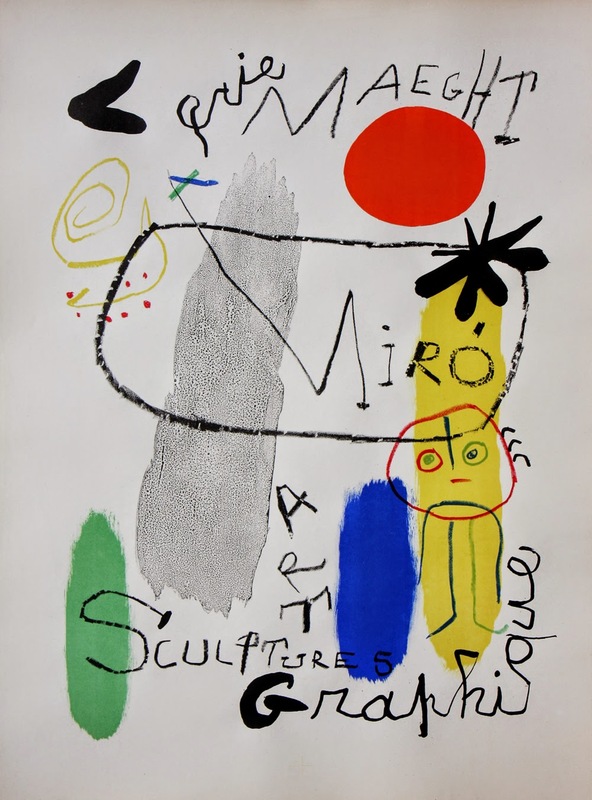 Miró received early encouragement from the dealer José Dalmau, who gave him his first solo show at his gallery in Barcelona in 1918. 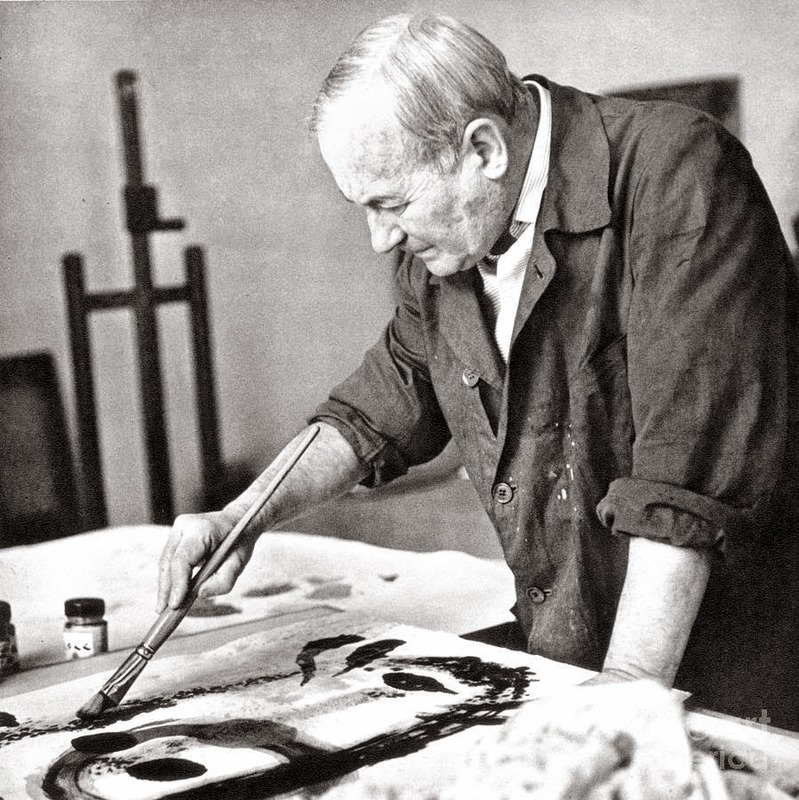 In 1917 he met Francis Picabia. 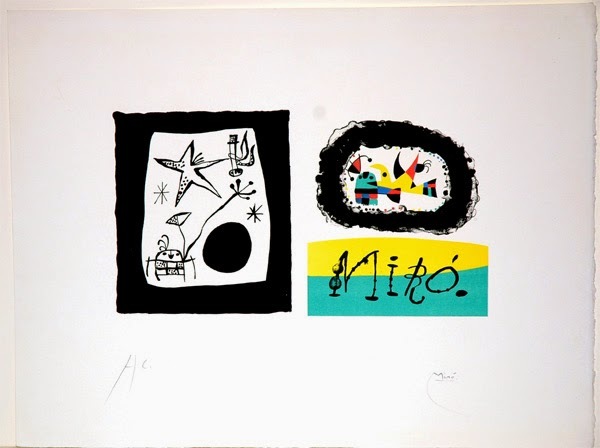 In 1920 Miró made his first trip to Paris, where he met Pablo Picasso. 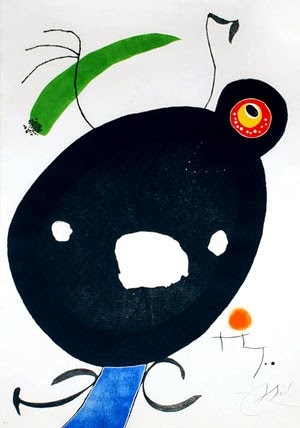 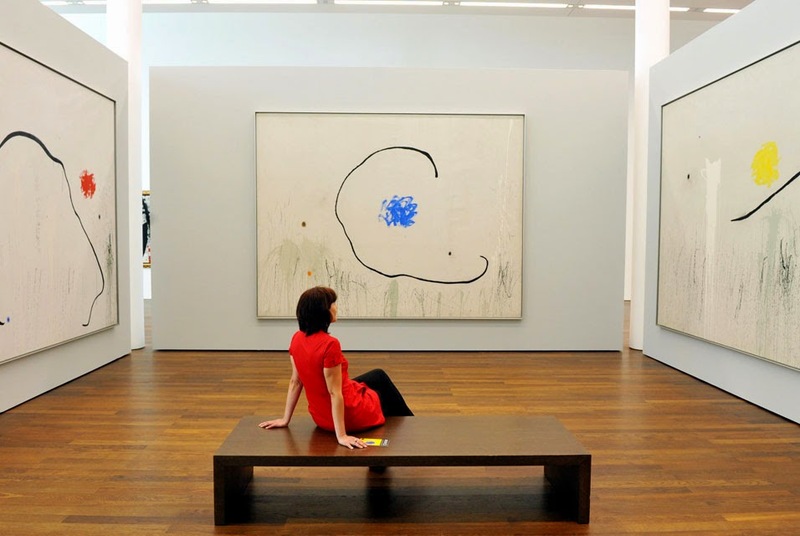 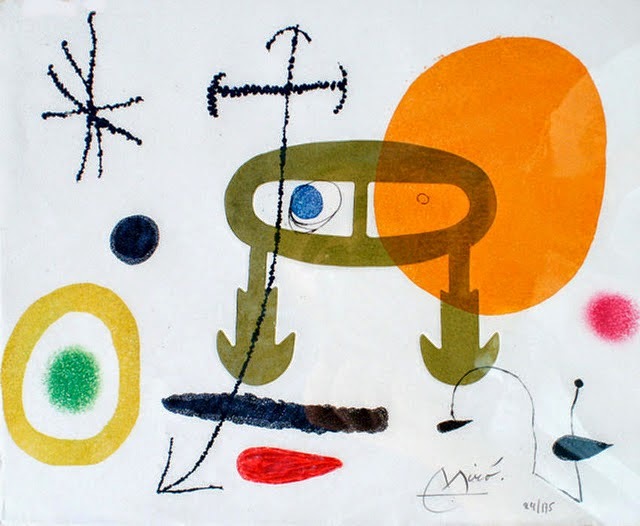 From this time, Miró divided his time between Paris and Montroig, Spain. 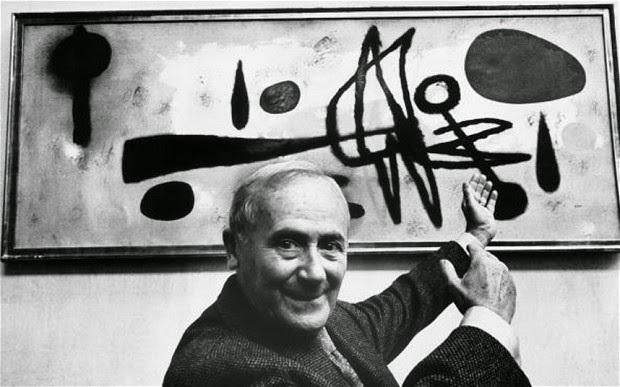 In Paris he associated with the poets Max Jacob, Pierre Reverdy, and Tristan Tzara and participated in Dada activities. 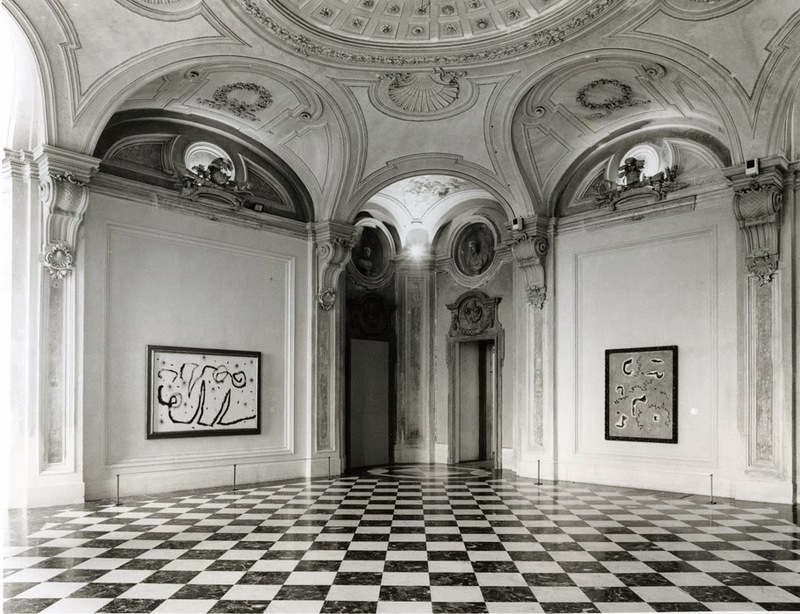 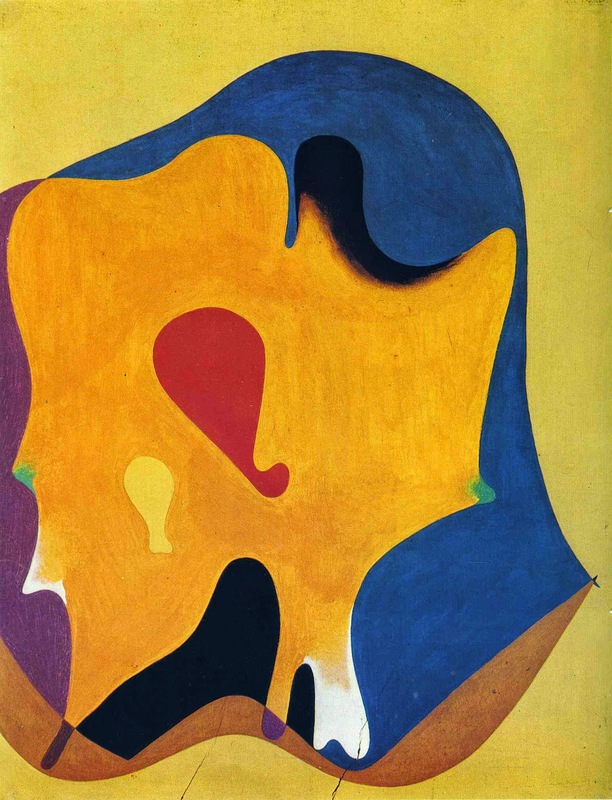 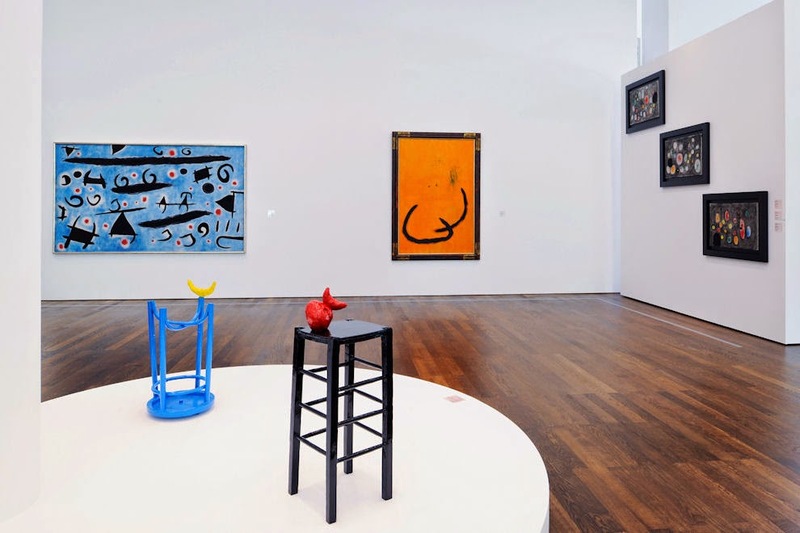 Dalmau organized Miró’s first solo show in Paris, at the Galerie la Licorne in 1921. 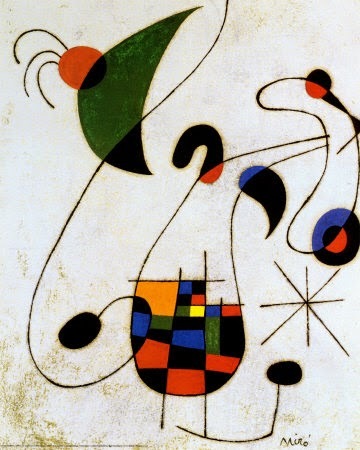 His work was included in the Salon d’Automne of 1923. 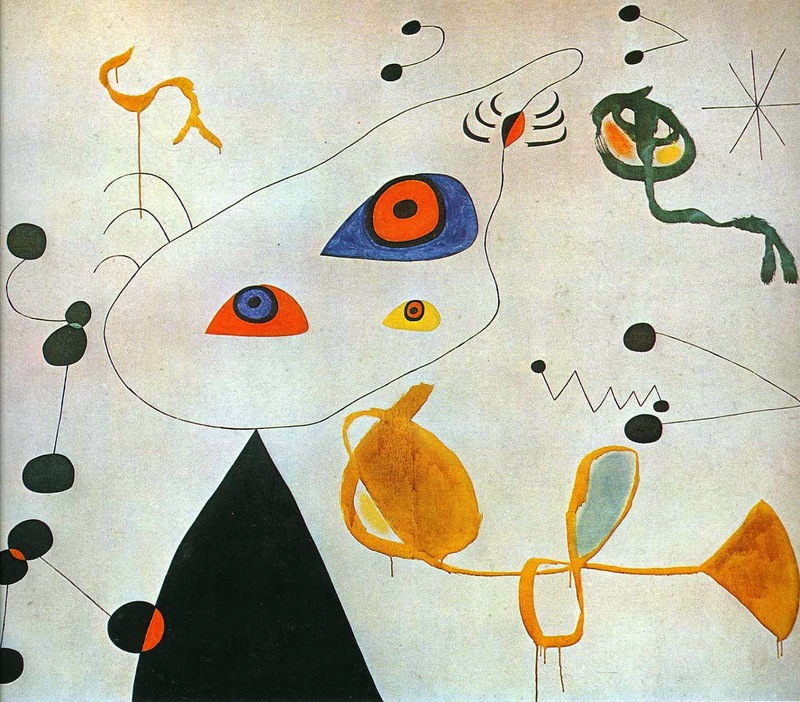 In 1924 Miró joined the Surrealist group. 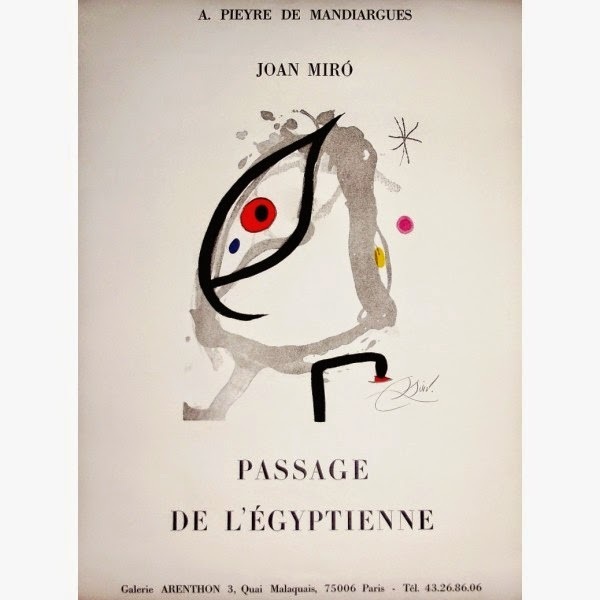 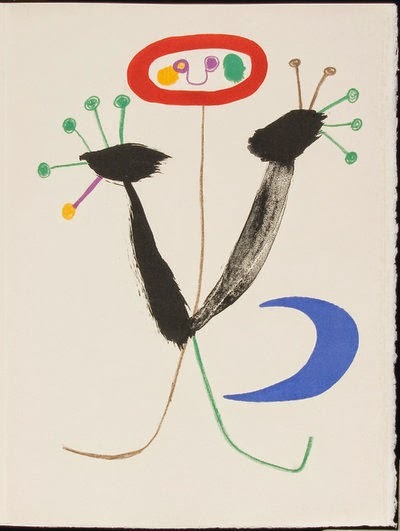 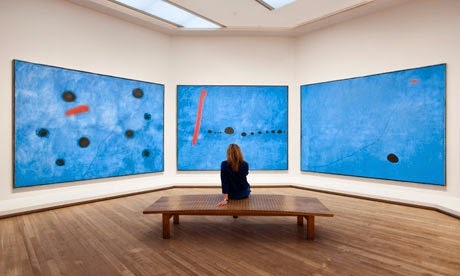 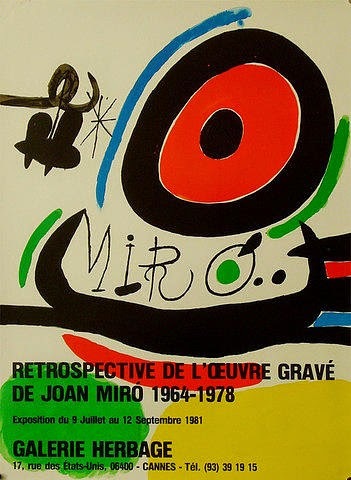 His solo show at the Galerie Pierre, Paris, in 1925 was a major Surrealist event; Miró was included in the first Surrealist exhibition at the Galerie Pierre that same year. 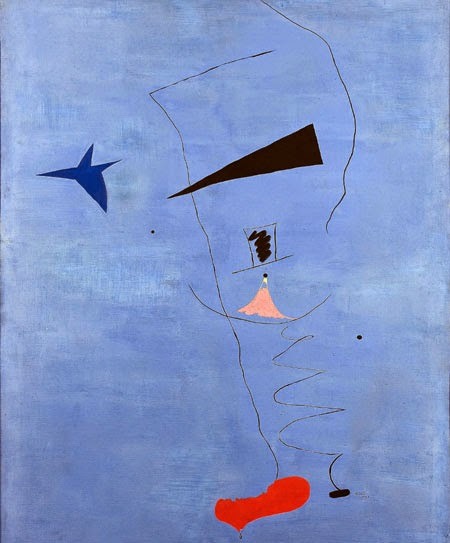 He visited the Netherlands in 1928 and began a series of paintings inspired by Dutch masters. 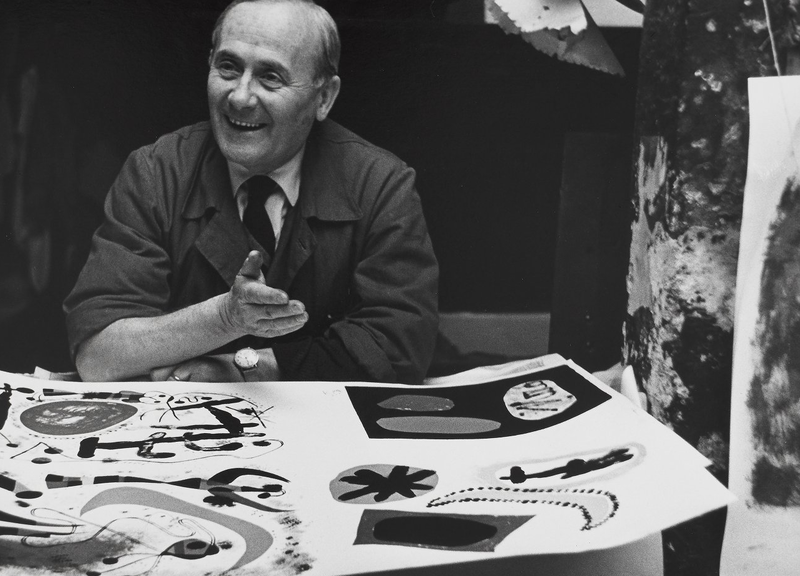 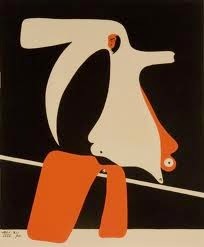 That year he also executed his first papiers collés (pasted papers) and collages. 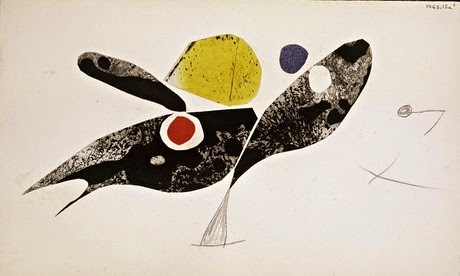 In 1929 he started his experiments in lithography, and his first etchings date from 1933. 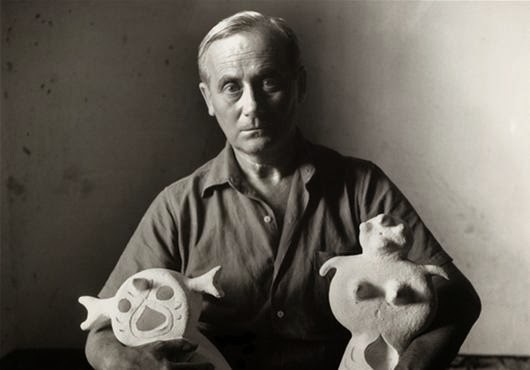 During the early 1930s he made Surrealist sculptures incorporating painted stones and found objects. 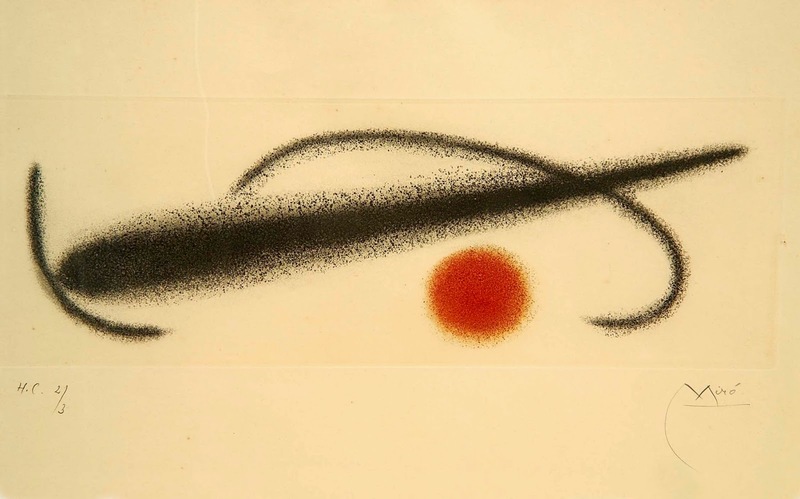 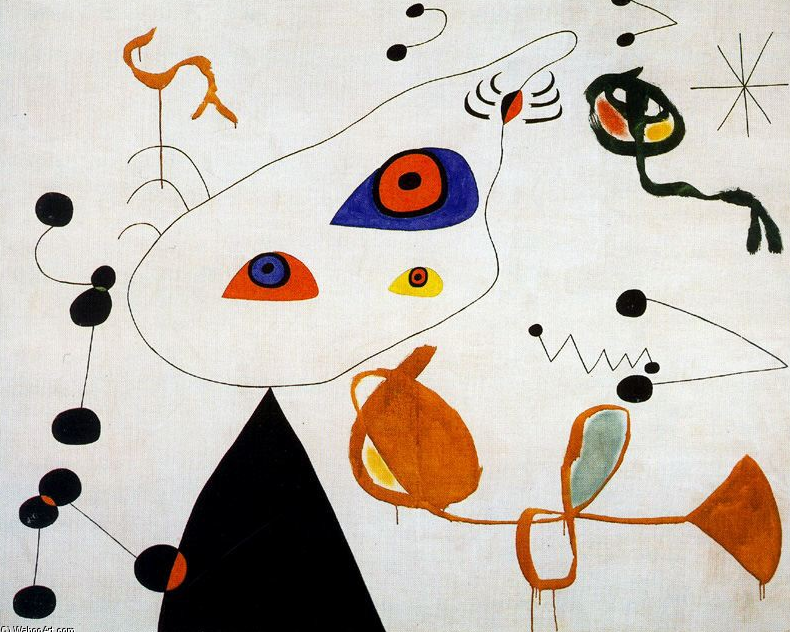 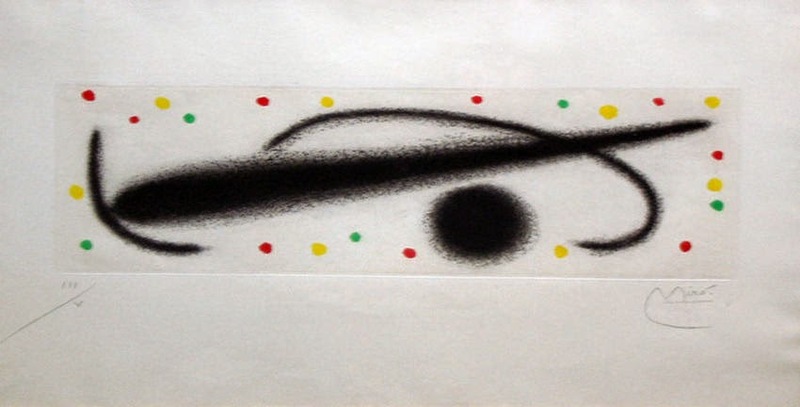 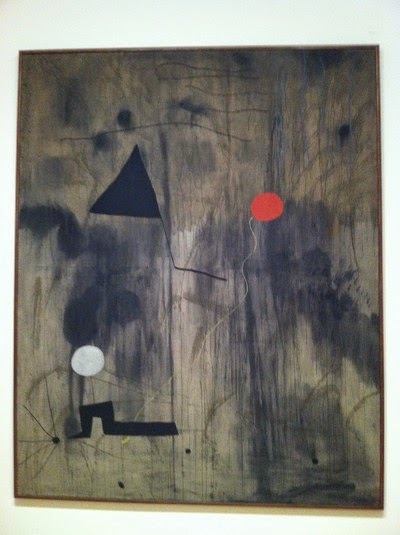 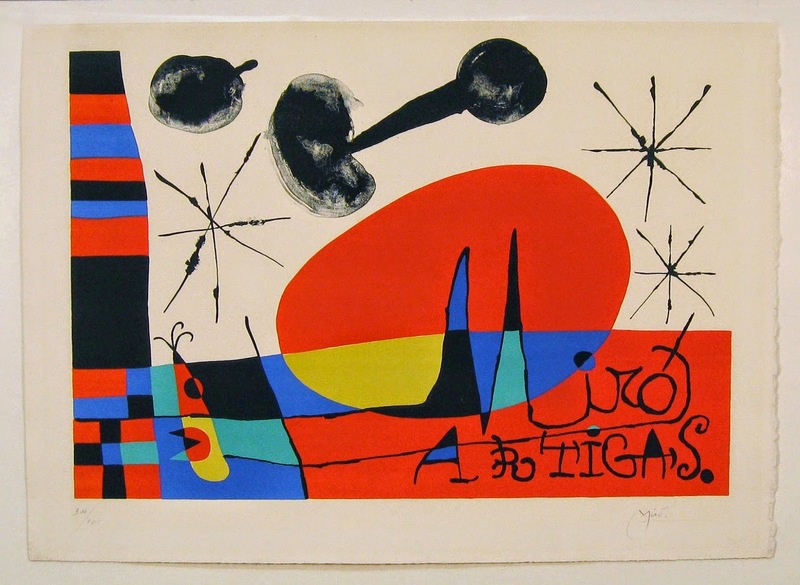 In 1936 Miró left Spain because of the civil war; he returned in 1941. 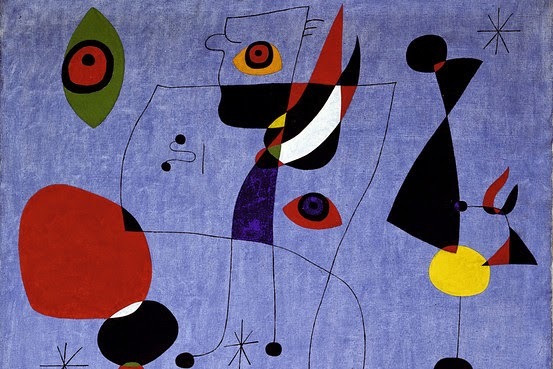 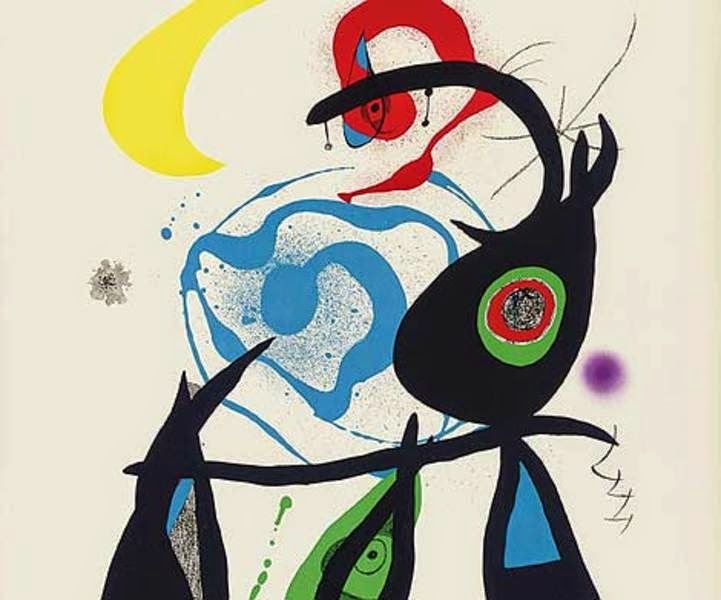 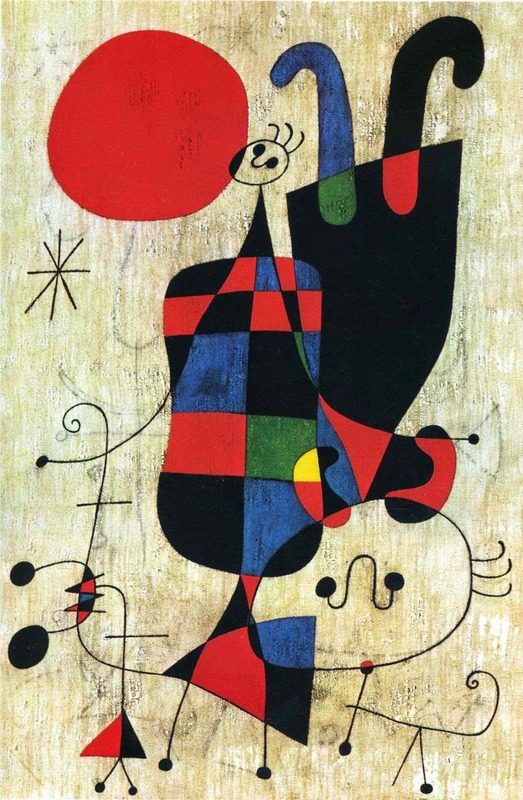 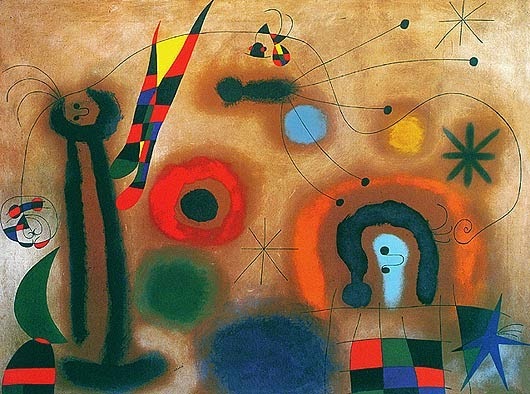 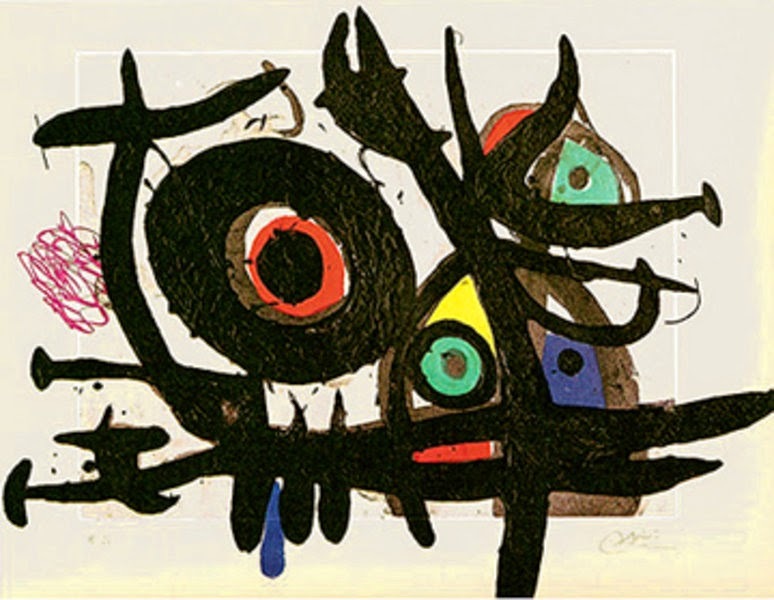 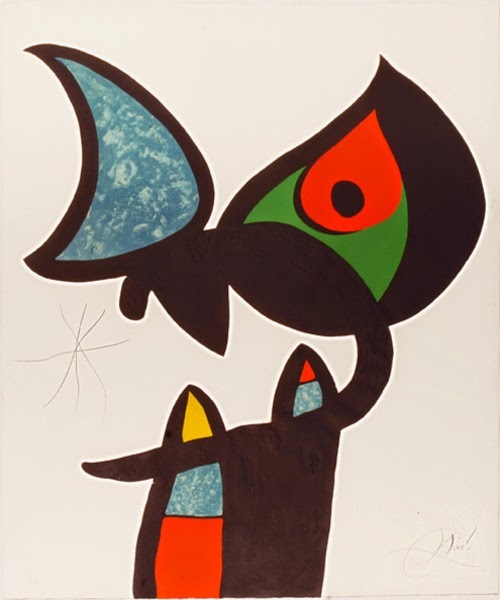 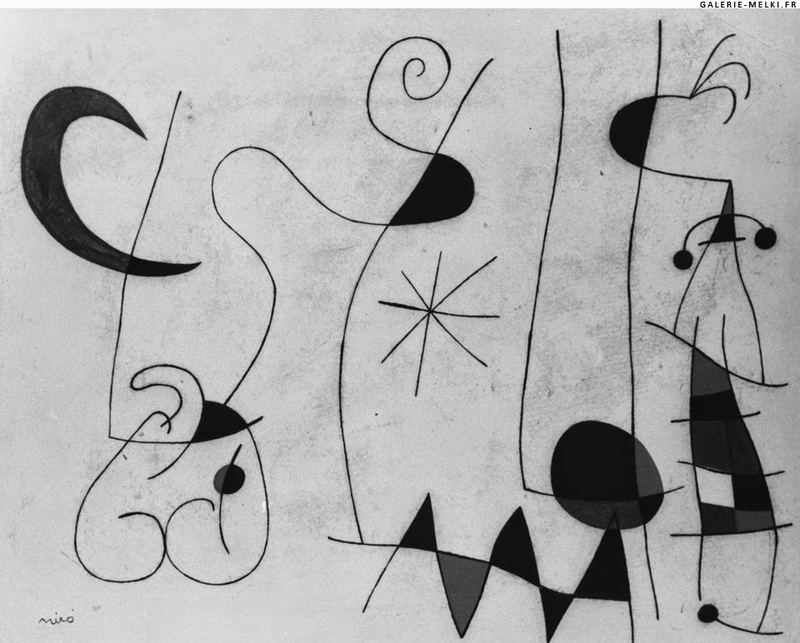 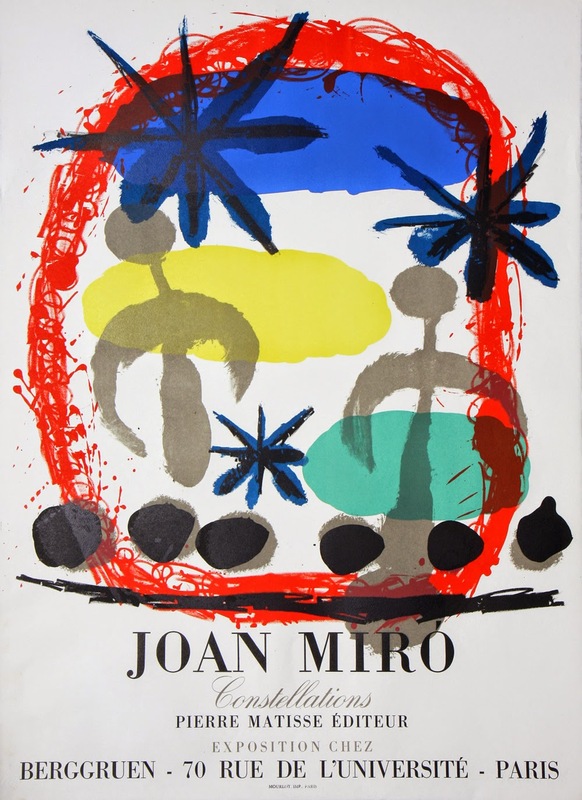 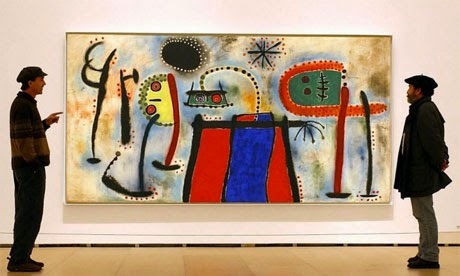 Also in 1936 Miró was included in the exhibitions Cubism and Abstract Art and Fantastic Art, Dada, Surrealism at the Museum of Modern Art, New York. 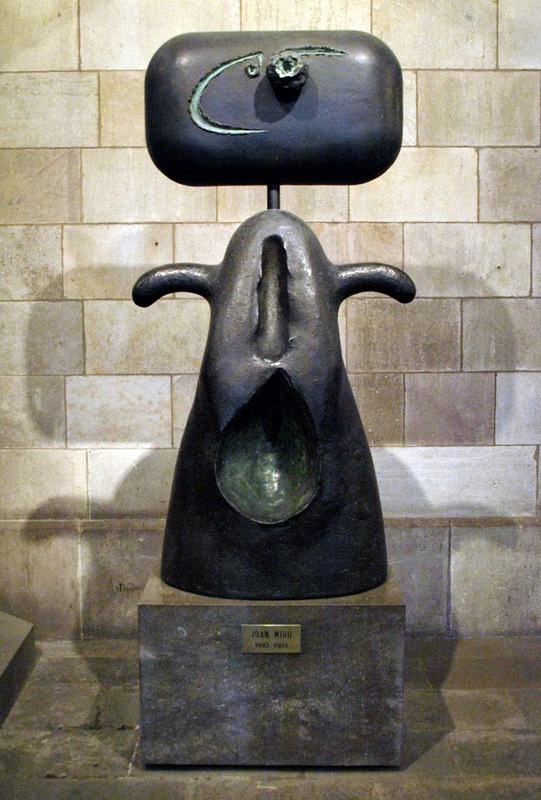 The following year he was commissioned to create a monumental work for the Paris World’s Fair.